Reminder that we will be having the 2nd showing of the 1st half of movie, War Room at The Grace Place Church beginning at 5:30 pm tonight 11/09/16. We will break for Pizza at 6:30 pm in the Fellowship Hall. At approximately 7:00 pm, we will resume watching the 2nd half of the movie! Be sure to join us tonight for this 2015 American Christian drama film directed by Alex Kendrick and co-written and produced by Stephen Kendrick. 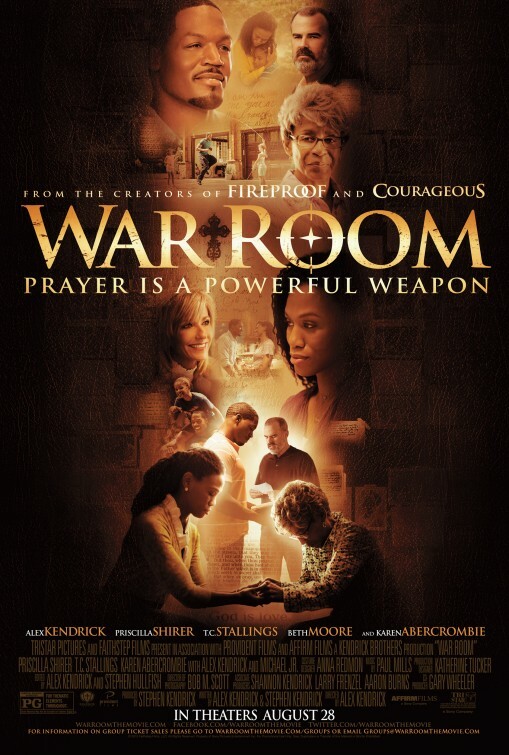 Regarding the title of the film, director Kendrick says “We called it ‘War Room‘ because, like the military, we should seek God for the right strategy before going into combat. By combat, I mean daily issues we face in our culture. This entry was posted in Outreach, Special Services. Bookmark the permalink.